Weather had been all over the map prior to the shoot, but that morning we were greeted with blue skies and zero wind, resulting in some incredible aerial footage. 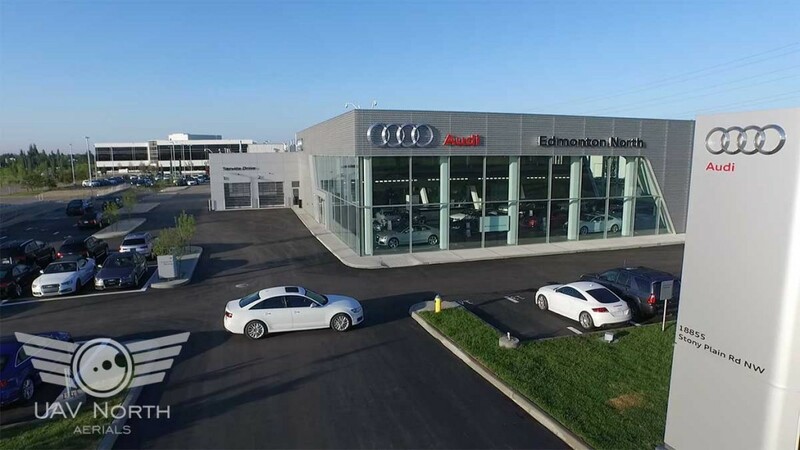 The dealership, marketing company, and Global Edmonton were all very happy with the footage that we shot. I love it, and love seeing it on TV! Be sure to watch the video above, or tune in to Global to see our aerial video in action! If you’d like aerial footage for your television commercial, or any other use, please don’t hesitate to contact us at info@uavnorth.ca or call 587-991-0997 anytime. We look forward to hearing from you!